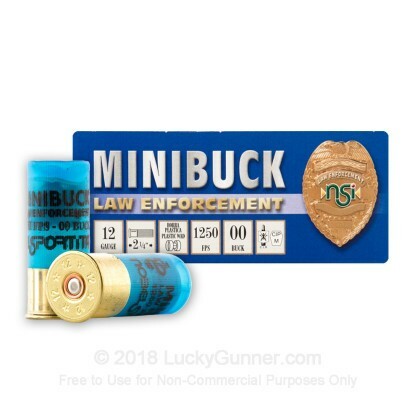 NobelSport Mini Buck Law Enforcement shells are designed with a smaller form factor enabling more shell capacity. 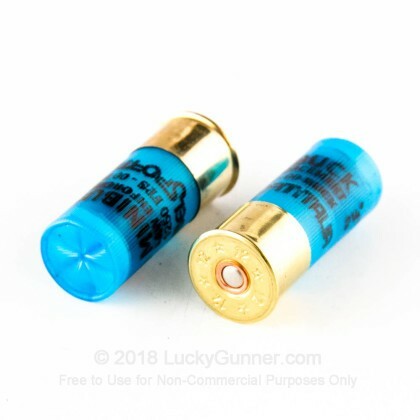 These 00 buck shells maintain a low recoil even at a velocity of 1250! 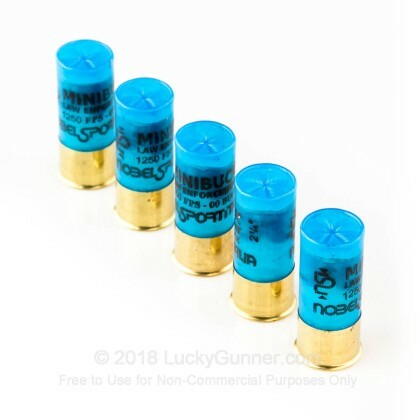 Imported from Italy, this shot-shell is a 00 Buckshot with 6 pellets. 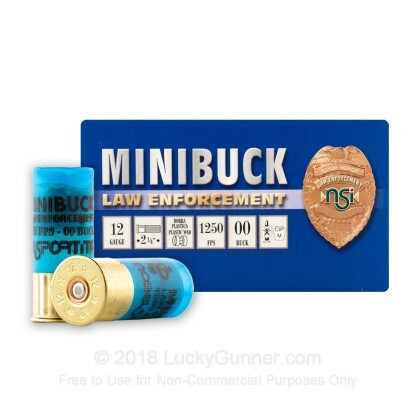 This shell is a great choice for security or home and personal defense. NSI or NobelSport has been manufacturing quality ammunition in Italy for many years for both hunters and shooters. Buy It. Shoot It. Love It. 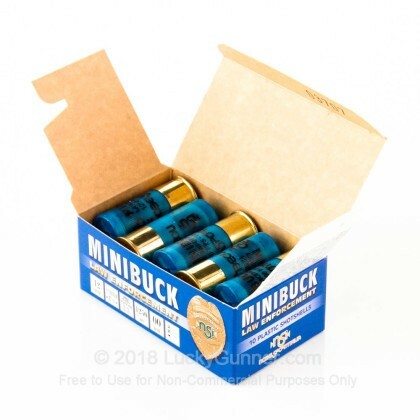 NOTE: The box for this ammo is incorrect since it lists the ammo as 2-1/4". We measured it and this ammo in fact is 2" long before firing. 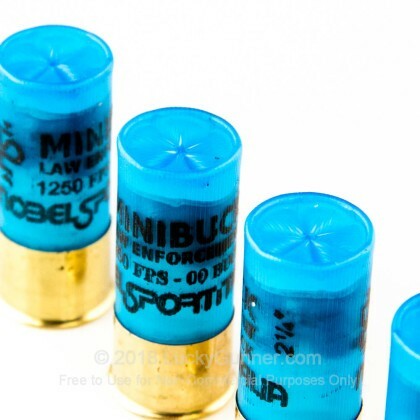 This means you can get more ammo in your tubular magazine than with standard 2-3/4" ammo. GOOD RESULTS ,WILL USE AGAIN .